that on a daily basis i have been craving bubble tea. and not just any bubble tea. 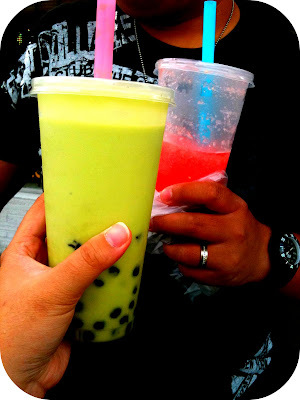 just to go to my most favorite bubble tea shop of all. it seems they are the only one who serves my addiction. CAPPUCCINO ICE CREAM BUBBLE TEA. seriously, no other shop has it. and that was a good 13 years ago!!! Oh my! I've never has such tea but just hearing the name makes me want to crave it! You can definitely be classified as a "regular costumer." I've never heard of it before, but it sounds like something I'll have to try!